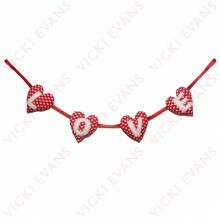 Valentines Day is a great occasion, especially if like me you get spoilt. 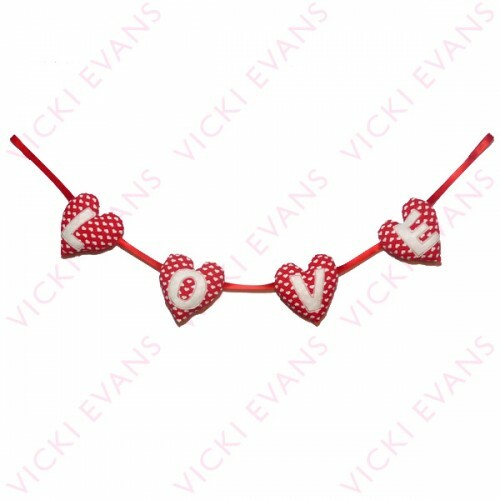 Why only celebrate your love for one day when you can be reminded of that someone special everyday with this beautiful red padded heart bunting. 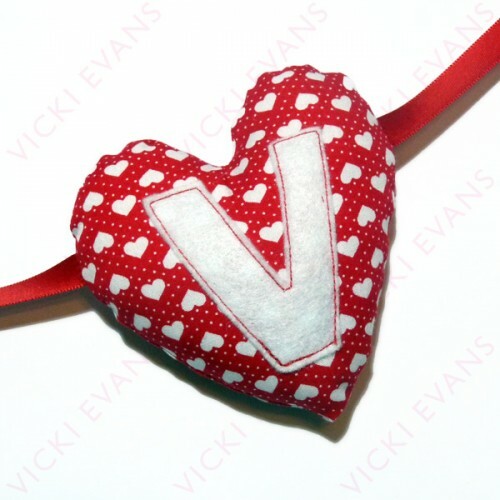 Made using a delicious red heart cotton fabric with white felt applique lettering and red stitching. 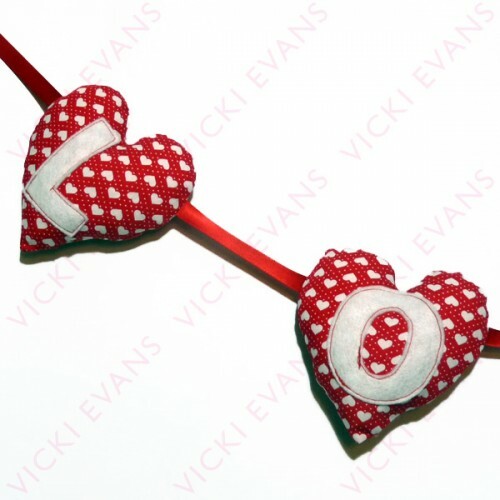 4 padded hearts spell out the word 'Love'.